Start your Liberty Mutual Windshield Replacement Claim Today! Glas Tek is a preferred Liberty Mutual windshield replacement and auto glass repair service company for the greater Phoenix, AZ, area. As an “Approved Liberty Mutual Windshield Replacement Program Participant“, the work that Glas Tek performs is 100 percent backed and guaranteed nationally by Liberty Mutual. This also means that Glas Tek will honor the insurance contract pricing and will never tack on additional charges or fees that you would have to pay for out of your own pocket. In addition, you will qualify for up to $150 cash payment when you make a claim for a zero deductible windshield replacement under the Phoenix Liberty program. Liberty Mutual processes its windshield replacement claims through a third party administrator. Through this process, filing an insurance claim is easy and fast to complete, providing you with a quick resolution to your repair needs. Also, this fast-track service will not mean any increase in your insurance premiums. The Preferred Liberty Mutual Windshield Replacement Program, first and foremost, is intended to benefit the insurance holder and claimant. In providing a central processing system, it also allows Glas Tek to concentrate on giving you the best Liberty Mutual windshield replacement service possible. Putting the paperwork of the authorization process in the hands of specialists also will ensure against mistakes and delays. Glas Tek can answer many of your immediate concerns and questions, but also will connect you with Liberty Mutual claims representative for more detailed information. Once contacted by phone, a Liberty Mutual representative will get your name and policy number. They then will ask you, the claimant, a number of questions that will help move the processing procedure along. Has any repair of the car or truck been completed? Is this the first time this claim has been reported? When was the vehicle damaged? What is the model and make of the car? Was other glass on the car damaged in this incident other than the windshield? 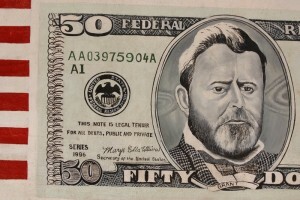 Would a dollar bill be the right size to completely cover the damage on the windshield? If the Liberty Mutual windshield replacement claims administrator cannot immediately verify that you are covered, Glas Tek can still set up an appointment for repairs pending approval. If additional verification is needed, it typically will only take a few hours. Then you will receive notification from Liberty Mutual via the email address you provided. Conference calls to the Liberty Mutual windshield replacement department typically take less than 15 minutes to complete. Once you have filed the claim and it is verified, Glas Tek then will be authorized to do the work and will pay you up to $150 right up front for selecting them. State law does not require you to use any particular service provider, allowing you the choice of who would do the job you need that is acceptable to your insurance company. In the case of Glas Tek, it is automatically authorized by Liberty Mutual. It can develop the proper paper trail and will bill Liberty Mutual directly, relieving you of the stress of working out your claim. In addition, choosing Glas Tek means that all of your glass work will carry a nationwide guarantee backed by Liberty Mutual. 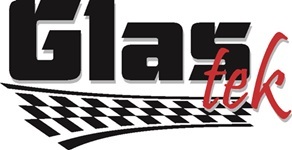 The insurance company has contracted with Glas Tek to provide various services at specific prices, so there can be no unexpected costs to you. Why Choose Liberty Mutual for Windshield Replacement Claims? Liberty Mutual is known as one of the most reliable vehicle insurance companies available. Because of the vast array of policy types and coverage options, most consumers can find a policy that will exactly meet their needs and their budget. Liberty Mutual is one of the rare companies offering customers the option of 12-month policies. These permit the policy holder to better control costs and can help relieve any anxiety about changes in the premiums charged. 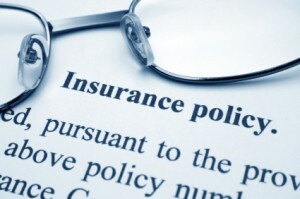 Filing an insurance claim can be time consuming and one that requires a lot of patience. With Liberty Mutual, though, claimants will find the process is reliable, with few delays or errors that will need to be corrected for the process to be completed. This reliability has helped make Liberty Mutual one of the more highly rated insurers in the business. One area in which the company could show improvement, but has not thus far, is in the speed of processing claims. Even using the expert help of claims administrators, processing still can seem to take longer than some of its peers in the insurance industry. If precision of workmanship and a minimum of errors or omissions are important to you, however, Liberty Mutual is among the best in the bunch. Phoenix area customers have found that working through the claims process with Liberty Mutual and using a preferred service provider such as Glas Tek can make the glass repair experience one that is easily handled. Using a preferred Liberty Mutual auto glass program participant can help provide you with prompt, professional service that is guaranteed.